850+ templates are included in the advanced edition of The Groomer's Profit Kit. Super easy editing- No software downloads required. Simple, point & click editing. Create professional print pieces in just minutes. Edit right online with the free Google Slides version of Microsoft Powerpoint. Instructions are included. 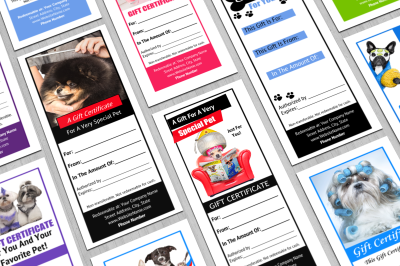 You get 49 different pet grooming gift certificate templates in our Advanced kit and 3 printable versions in our Basic kit. Quickly create & print in just minutes! 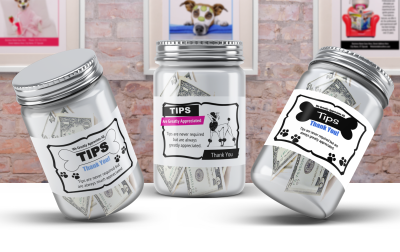 Four different tip jar printable signs come with both editions of our kit. Editable templates are also included in our advanced kit. 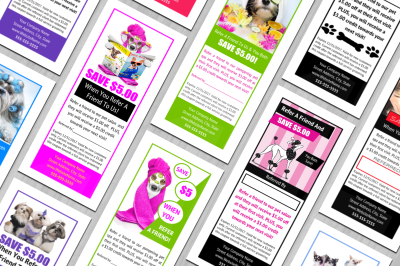 You get 49 different customer referral coupon templates with the Advanced kit and one printable version in our Basic kit. Quickly create & print in just minutes! 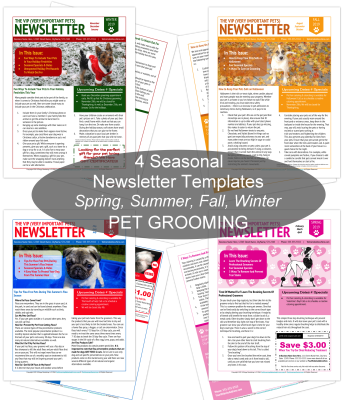 Four seasonal newsletter templates. Fully editable. Comes with seasonal articles and designs. One for all four seasons. Templates for standard sized countertop ballot/entry box headers. One to capture emails, one to use at events to capture potential new customer and one for tips. 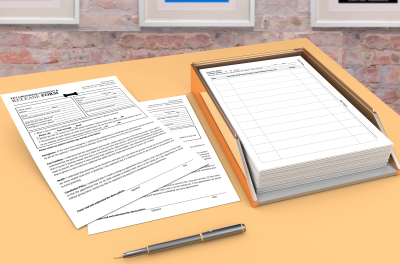 Includes entry form templates. 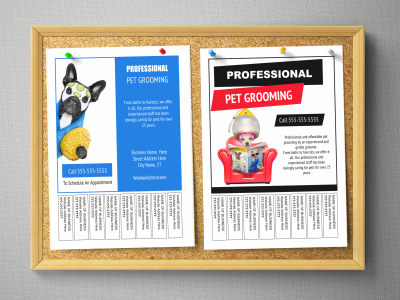 You get 48 different template designs to quickly create bulletin board flyers. 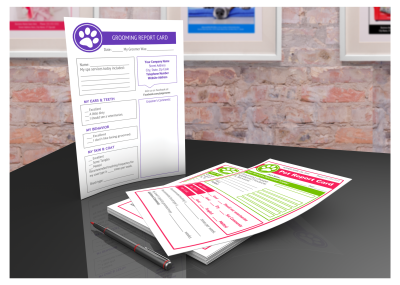 This two-sided pet release form and customer record sheet comes as a printable pdf in both editions of our kit. It also comes as an editable template in our Advanced kit. 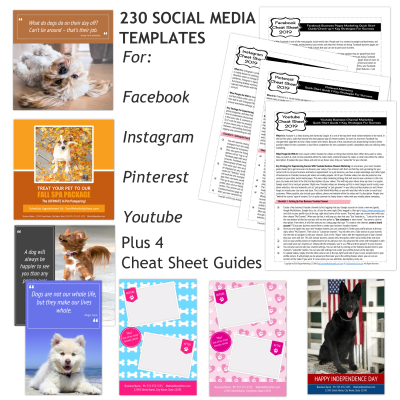 You get 34 different template designs to instantly create your own printable postcards for pennies. Included in our Advanced kit. This template can easily be changed to any color scheme. Comes as an easy edit template in our Advanced profit kit. This adorable printable is included with both editions of our kit. It is also included as an editable template in our Advanced kit. 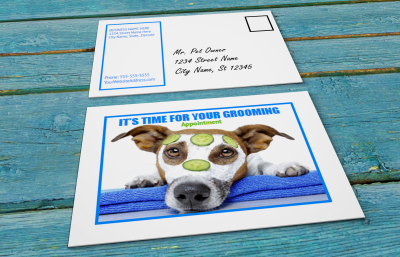 Print your own dog grooming business cards and appointment reminder cards for just pennies. 26 different designs come as 100% editable templates in our Advanced profit kit. You get three different pet report card templates that can be changed to any color scheme(comes with Advanced kit). 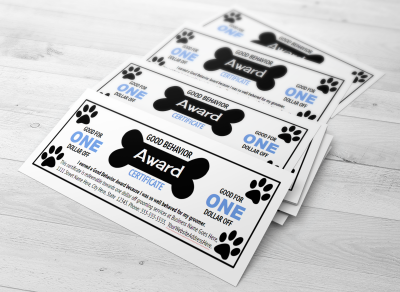 Choose from half-page and full page pet report cards. Two pdf printable report card designs are included in our Basic kit. 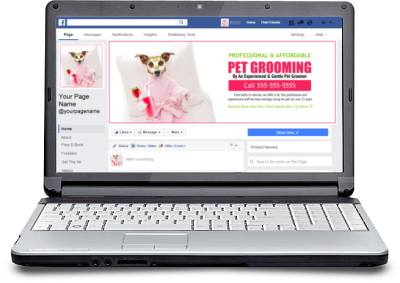 20 Different Facebook cover page templates are included with our Advanced kit. 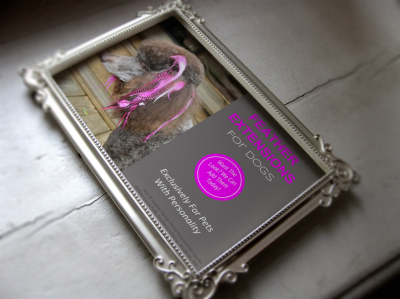 You also get templates to create eye-catching Facebook posts, plus a Facebook Quick Start Guide. You also get ones for Instagram, Pinterest and Youtube too! 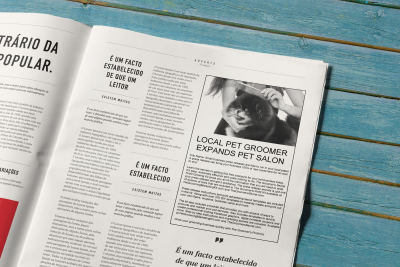 Quickly create consistent print ad layouts with the 22 easy edit print ad templates that are included in the Advanced edition of The Groomer's Profit Kit. 40 different templates are included in our Advanced kit. 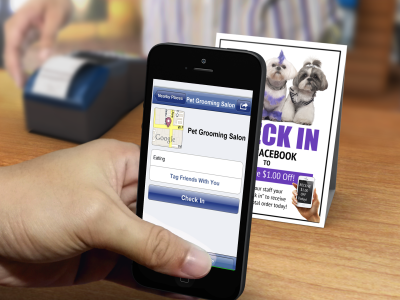 Quickly edit and print out Facebook Check-In Signs that will encourage customers to check-in to your business and give you free advertising! 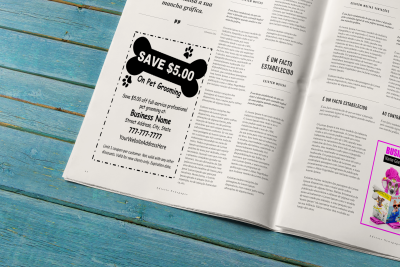 Get free publicity by using the press release template that is included in our Advanced kit. 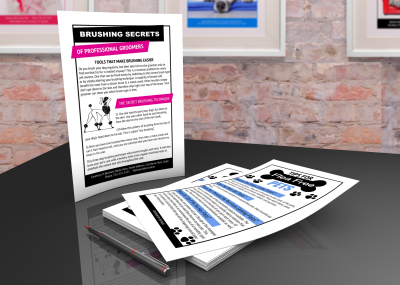 Details on how to generate free press releases are included in the booklet that comes with the kit. 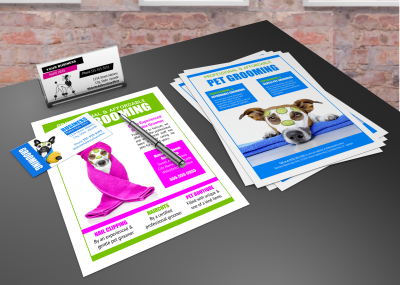 Printable customer education handouts on brushing and flea control are included in both editions of the kit. Editable template versions are also included in the Advanced edition of our kit. 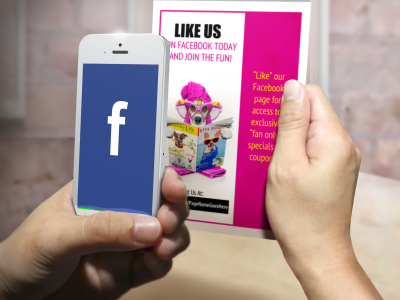 40 Facebook "Like" sign templates are included with the Advanced edition of our kit. 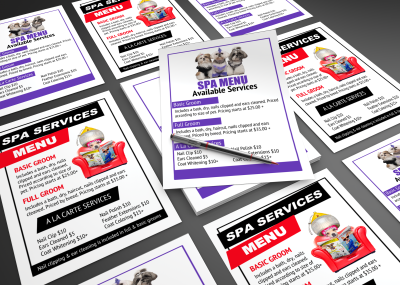 These price list / spa menu templates produce a nice 5x7" counter top sized display list of all of your grooming services. 40 templates are included with the Advanced kit. 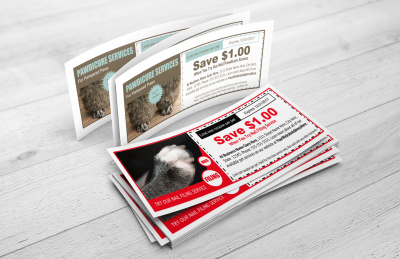 10 Easy edit templates for add-on services coupons are included in our Advanced kit. Nine pdf printable versions are included in our Basic kit. 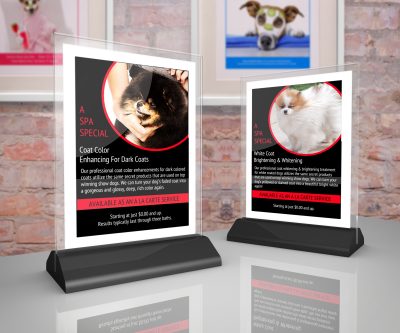 10 templates are included to create quick printable signs for the add-on services programs that are covered in our Advanced kit. Some printable pdf's are also included in our Basic kit as well. 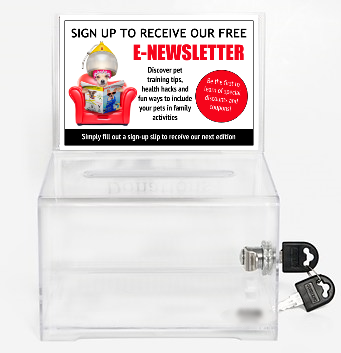 Print ready pdf's for two display signs and one coupon are included in all editions of our kit. Editable templates are also included in the Advanced edition.